It has been a busy year for me so far and I have had a great time exhibiting at various classic car events in the UK, which have been amazing to be a part of. I have met some really wonderful people and had such fascinating and interesting conversations about their cars and collections of cars! From all over the world! Thank you you so much for sharing your stories with me. i have such a long list of beautiful cars that I now want to add to my collection, it’s going to take some time! I have also been involved in some very exciting commissions for private car collectors and car dealers both here and abroad , with more to come later on in the year. 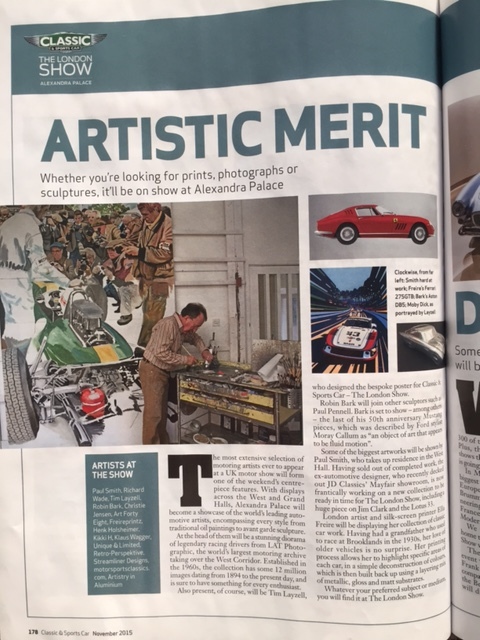 I will be exhibiting , along with other Automotive artists, at the inaurgural Classic and Sports Car Show which will be held at Alexandra Palace on the 30th – 1st Nov. There will be over 300 classic cars on show so a wonderful chance to see some of the worlds most stunning cars up close! It should be a great day out for all the family, as children under 16 are get in free! So save the date! 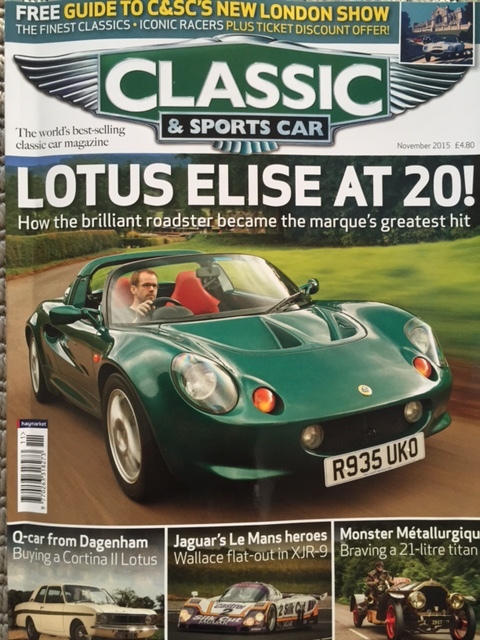 This issue ( November ) of Classic and Sports Car Magazine features some of the artists including myself, that will be taking part in the event.